with diagnosis of Alzheimer’s-type Dementia. 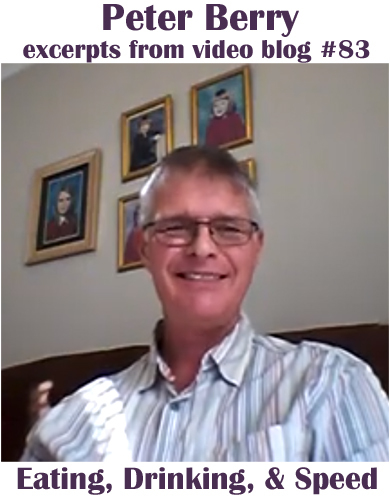 Peter has a weekly video blog, available here >> https://www.youtube.com/channel/UCMZ2Z51ATdWO83s8VoEvMcw . * Admin issues: SHARE dementia awareness thru buttons below. Feel free to leave your thoughts in the form of comments, but please filter your comments with truthful loving kindness to all concerned. If interested in receiving notice of future blog postings, subscriptions are available through a “follow” button in the upper left corner (MS Explorer) or lower right (Safari, Mozilla Firefox and Chrome). If there is an advertisement below, I have no control over what is shown. 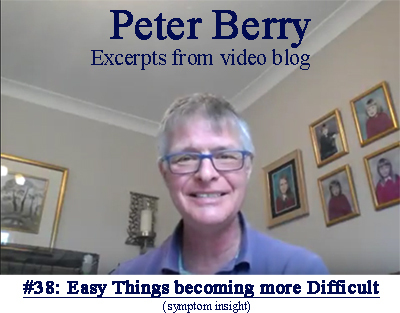 Tags: advocate, alzheimers, dementia, Dementia Symptom Perspectives, Peter Berry, PLwD.